A competition called The Flying Donkey Challenge 2014 is inviting applications worldwide to develop drones in Africa that will be affordable as motorbikes which will be used to carry goods to the market. Kenya is hosting the first round of the challenge to develop the drones set to start on November 2014. “We feel that if drones are going to be used to transport goods, the most logical place [to start] is Africa,” said Simon Johnson, Director of the Flying Donkey. The 2014 competition will consist of three challenges for the drone developing teams: precision take-off and landing using a remote, navigation without GPS, and sense and avoid-where drones will fly a kilometer and back, avoiding balloons along the way. Johnson says that future competitions will demand more sophisticated designs. The competition will involve development teams from around the world in collaboration with an African institute, school or lab. So far 33 teams from around the world have applied to take part in the first competition in November. The first round of challenge will take place in Kenya’s Mt. Kenya area. Mt. Kenya was picked because of its perfect location and good obstacle area to practice prototype designs of the drones. Flying donkeys are large cargo robots with rugged air frames capable of lifting heavy suitcase loads over long distances. The first commercial flying donkeys, due by 2020, will carry at least 20 kilos over 50 kilometers in less than one hour. 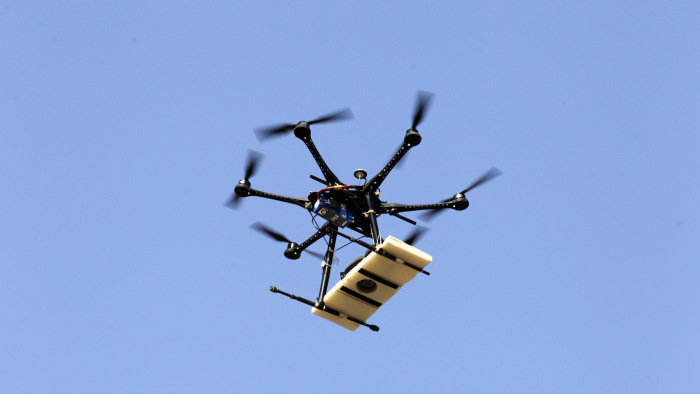 The flying drones are seen as a key innovation to supporting Africa’s ever rising economic growth and bypass the perennial problems of lack of adequate transport infrastructure especially in the rural areas. The Flying Donkey Challenge is a non-profit initiative of the Afrotech project at the École Polytechnique Fédérale de Lausanne (EPFL) and the Swiss National Centre of Competence for Research in Robotics (NCCR). The foundation has identified technical, legal, logistics and architectural and design challenges and will award large cash prizes to teams with the best solutions. The foundation will work to ensure flying donkeys are a friendly service, dependably exploiting the space above our heads to create jobs and enable e-commerce.